These free Thanksgiving clip art links will take you to hundreds of clip art images that are perfect for Thanksgiving projects or decorations. You'll find fun Thanksgiving clip art images of turkeys, cornucopias, pilgrims, pumpkins, and much more; cut, paste, and use for your cards, place settings, centerpieces, or home decorations. Homemade preschool offers a wide range of simple, kid-friendly Thanksgiving clip art of turkeys, pumpkins, pie, corn, potatoes, bonnets, hats, Pilgrims, cornucopias, feathers, ships, and Thanksgiving dinner. While these are great for little ones, they're not ideal for anything more sophisticated than a kindergarten class. On the first page of Webweaver's Thanksgiving collection, you'll find clip art images of pilgrims, cornucopias, pumpkins, wheat stalks, harvests, turkeys, fall flowers, and corn. 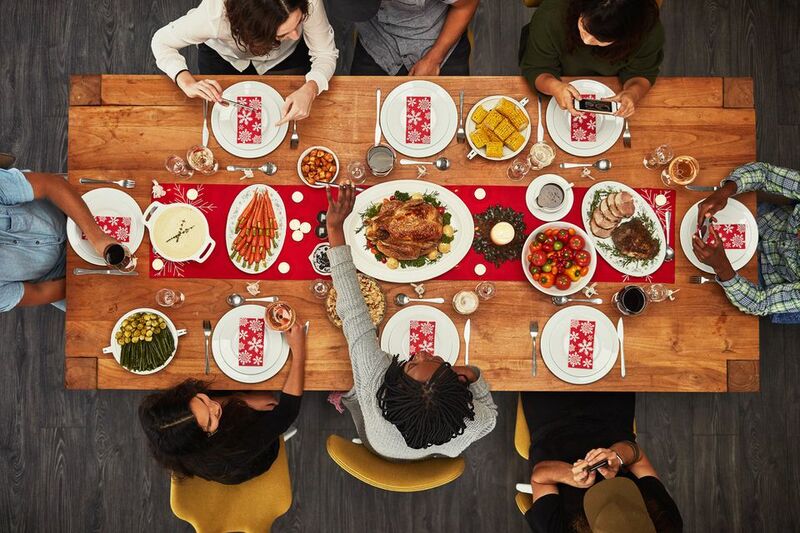 Go on to the next page and you'll find a page full of turkey images. The Thanksgiving clip art here varies in size, so be sure to click on the thumbnail of the image to view the actual size. My Cute Graphics has over 50 images of Thanksgiving clipart of turkeys, pumpkins, pie, pilgrims, Native Americans, food, boats, and more. As the name implies, they are cute rather than sophisticated, so they're best used with kid-related projects. In addition to color images, you'll also find black-and-white outlines that can be colored in after you print them out. There are 25 pages of free Thanksgiving clip art at Hellas Multimedia; some of the images are really beautiful, full-color illustrations appropriate for party invitations or other sophisticated uses. In addition to Thanksgiving clip art, you can also find Thanksgiving backgrounds, borders, and lines. Since you can't click on these images to make them any larger, just right-click one to copy it or save it to your computer. HubPages offers unique, eye-catching graphic art that's ideal for posters, flyers, and room decorations. Keep scrolling down so you don't miss out on any of the wonderful Thanksgiving clip art. There's a picture of grapes, a bowl of apples, a pie, corn, a pumpkin, and more. You'll also find links to similarly-themed coloring pages and scrapbooking borders. Click the images at HubPages to make them larger, and then you can right-click one to save it to your computer. Phillip Martin is a wonderful digital designer and he's made some wonderful, whimsical Thanksgiving clip art. Here you'll find free Thanksgiving clip art images of cornucopias, fall foods, feasts, Native Americans, pilgrims, pumpkins, and turkeys. There are different links on Philip Martin's website to separate the Thanksgiving clip art from the pumpkin clip art. There are a few categories of Thanksgiving clip art at Clipart and Crafts, including pumpkins, turkey frames, and label art. 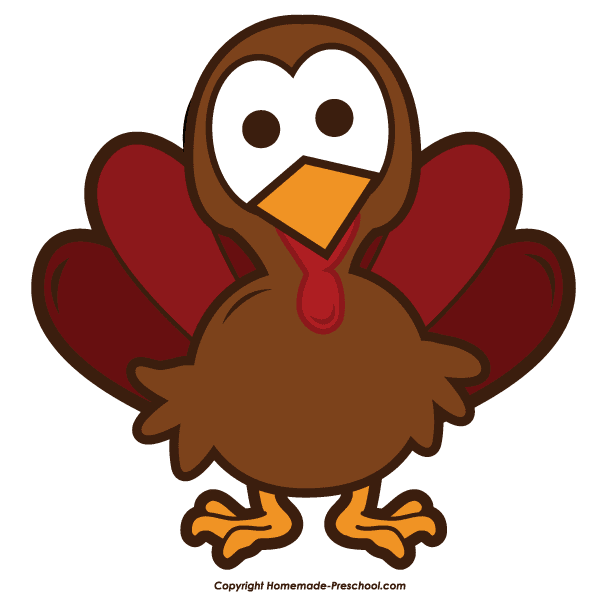 Click on each category to view even more Thanksgiving clip art images. There are more than five pages of free Thanksgiving clip art over at Classroom Clip Art. Browse through the pages at Classroom Clip Art to view Thanksgiving clip art images of pilgrims, turkeys, Thanksgiving food, leaves, and cornucopias. It's important to note that most of the images at Classroom Clipart have a small watermark; you'll see it before you save it to your computer when you're on the picture's download page. If you don't like the watermark, skip this collection. The Holiday Spot has Thanksgiving clip art of pilgrims, Native Americans, turkeys, wreaths, cornucopias, Thanksgiving food, and pumpkins. In addition to their Thanksgiving clip art, they also have free Thanksgiving Day backgrounds, buttons, banners, and dividers. Don't forget to click on a picture to see the larger version. You can then right-click it to copy it to the clipboard or save it offline to your computer. Get free Thanksgiving clip art images of pumpkins, cornucopias, and fall harvests. There are three pages, so be sure to click through all of them to see all the clip art they have. Use the download link below each Thanksgiving clip art thumbnail to get the biggest and best-looking image. Then, you can right-click the picture to save it. There's a lovely mix of black and white along with vintage Thanksgiving clip art here. Thanksgiving clip art images include those of cornucopias, children, food, pilgrims, and more. There are also separate links on the page for Thanksgiving scenery and Thanksgiving turkeys. There's just one page of Thanksgiving clip art over at The Kidz Page but they are truly darling. You'll find clip art images of turkeys, cornucopias, and lots of different fall harvest foods. There are only a few Thanksgiving clip art images here but they are some great looking ones that can't be missed.